A bright crater on the flank of a larger dark halo crater (illumination is from the left). LROC NAC M138188186, image width is 55 meters. These two craters, located in Orientale basin, show a sharp contrast in albedo. Why are they so different? The likely culprit is the material that each crater is excavating. In this northern section of the Orientale basin, the original dark mare surface has been hidden by brighter highlands material. 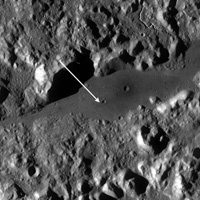 Because the dark halo crater is larger, it excavates material from greater depth. This allowed the dark crater to excavate the darker mare material while the bright crater only excavated highlands shallower material. 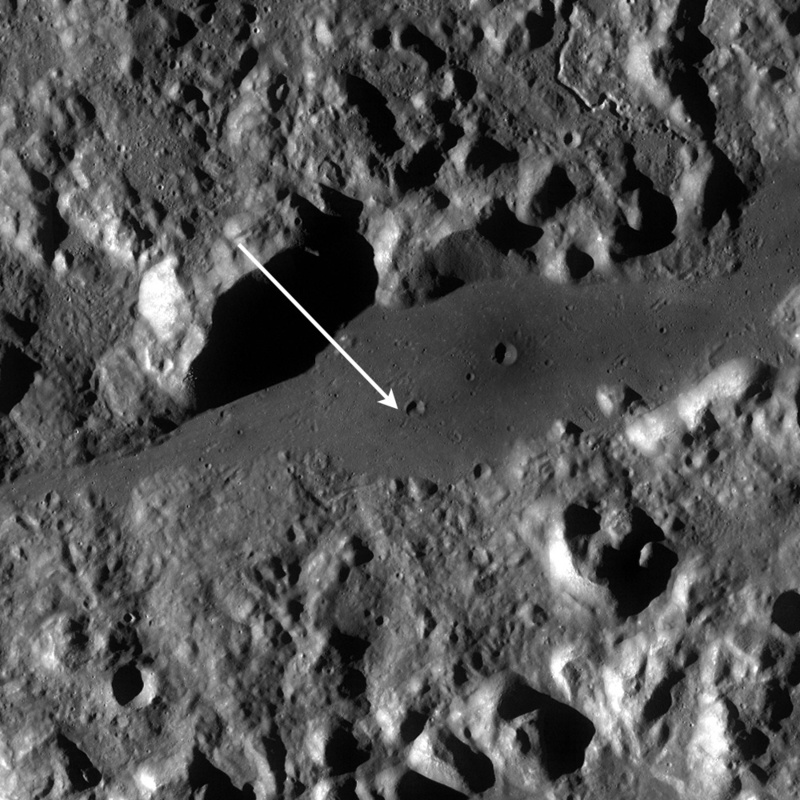 In fact it appears that this smaller crater may have excavated darker material on its western side. Using relationships such as these, scientists can estimate how thick the highlands material is on the mare.